Do I Need to Order An Exam? 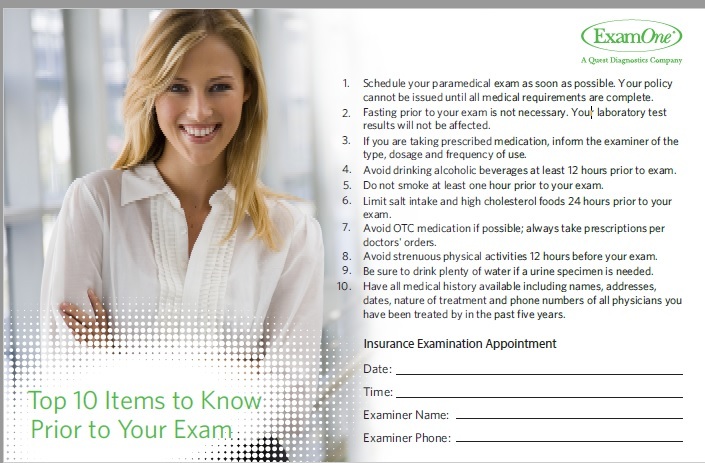 Part of our service to our brokers is setting up your client’s insurance exam for you. This allows us to make sure the correct Para-Med service is used and that they have the correct forms. We will do this the day the application is received in our office. If you would like us to set up the exam before we have the application, just fill out this Exam Request Form and we will be glad to take care of it for you.